One of the most popular, natural, and safe supplements for better rest these days is melatonin. But whether you’re curious about it or you’re actually taking it right now, you might not know very much about it. Some people still don’t understand what melatonin actually is, how it helps people get to sleep more quickly, or why it’s so effective at helping them stay asleep all night long and making them feel refreshed the next morning. If you happen to be one of these curious people, then you’re in the right place. Get ready to learn everything you need to know about melatonin! Your body’s internal clock – otherwise known as your circadian rhythm – is naturally in sync with sunrise and nightfall. In a nutshell, your circadian rhythm consists of many different physiological responses to not just the time of day, but your eating and exercise habits as well. Your circadian rhythm plays a large part in controlling the balance of hormones in your body, especially those hormones responsible for making you feel sleepy when you need to rest and making you feel wakeful during the day. The main hormone responsible for helping you sleep and feel groggy is melatonin. Your body is supposed to naturally produce melatonin at night after the sun goes down. The low levels of light – especially bright blue light – send a signal to your brain which flips on the melatonin switch. This is essential because when humans don’t sleep, when we don’t sleep enough, or when we get poor quality sleep, we miss out on the opportunity to repair the damage we sustain from everyday activities. Unfortunately, due to modern inventions, we aren’t as in sync with nature and with our circadian rhythm as we used to be. For example, we no longer have the luxury of low light triggering normal, healthy amount of melatonin production in our brains. The bright blue light from electronic devices like our TVs, cell phones, tablets, and computers tricks our brain into thinking it’s still daytime. If our brain thinks it’s still daytime, it doesn’t produce melatonin. And without melatonin, you won’t feel sleepy. 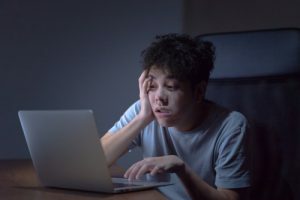 For a lot of people – especially people who cannot tear themselves away from a glowing screen, regardless of the time of day – low levels of melatonin may be a major factor in why they have trouble sleeping. Is it Possible to Boost Melatonin Naturally? If you’re a gadget junkie who cannot turn off the TV or the computer at night, here’s an alternative strategy: blue light blocker glasses. The lenses have a yellowish tint and help neutralize electronic blue light, which helps your brain produce more melatonin when it should. But if you follow all of this advice and still believe you aren’t producing enough melatonin, the next step is to move on to melatonin supplements. If you really want to argue in favor of melatonin, you have plenty of evidence to back up your case. Some of that evidence isn’t even directly related to sleep. For example: melatonin is a very potent antioxidant. Every single cell in your body naturally produces oxidative damage as the result of its everyday activities. Too much oxidative damage will lead to premature aging and chronic disease. But antioxidants like melatonin help reduce the unhealthy accumulation of oxidative damage. This keeps your cells healthier for longer, delays the aging process, and can even give you tons of energy. In addition to being an antioxidant, melatonin reduces inflammation, too. It’s especially important to supplement with melatonin in the winter months because it can help boost your immunity when you’re exposed to a virus or a bacterial infection. Lastly, although melatonin is produced by your brain, it can help heal your brain, too. People with certain mental health conditions and/or chronic headaches have reported some symptom alleviation with melatonin supplementation. Just understand that even though melatonin can potentially be helpful, it is not a cure. And it certainly should not replace whatever advice your doctor has given you. But in recommended dosage levels it is safe and healthy to try. It also has few – if any – reactions with other drugs, including prescription drugs. Here’s the next question: do you only supplement with melatonin by itself? Or do you add other natural sleep inducing ingredients into the mix? If you ask the people who came up with Avinol PM, they will obviously answer the second half of that question in the affirmative. If you don’t believe us, all you have to do is look at the ingredients list on the back of the box to confirm. Avinol PM includes a potent, highly bioavailable form of melatonin and its formula. It also includes natural ingredients like hops, chamomile, and valerian root. People have used these extracts for centuries in order to relax before bed. You can try and supplement with melatonin on its own first before trying Avinol PM. Don’t let us stop you. But if it’s not enough, or if you’re still struggling with other sleep issues, we highly recommend you give Avinol PM a try! Previous PostPrevious REM Sleep – It’s Good for Your Brain! 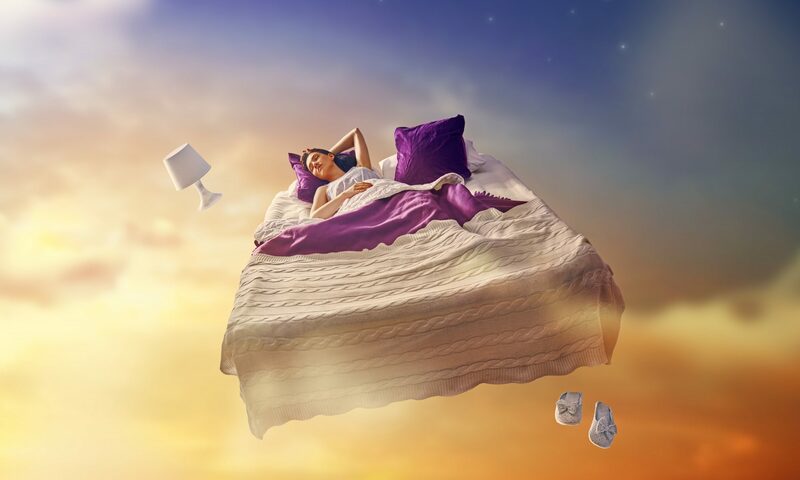 Next PostNext You Need to Learn More About Sleep Hygiene – Now!